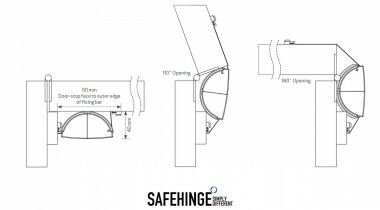 Gap-filling aluminium and fabric retrofit finger guard for doors. Retrofit finger guard with patented gap-filling, finger ejection system (offering improved safety). Durable aluminium body and fabric finger ejection system,1925mm long, for 44mm door opening up to 180°. 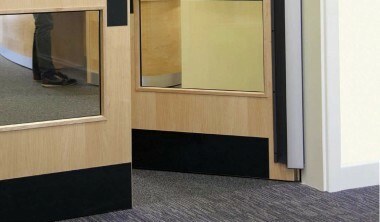 As standard – SAA finish, charcoal-grey retracting fabric, including screw fixings. 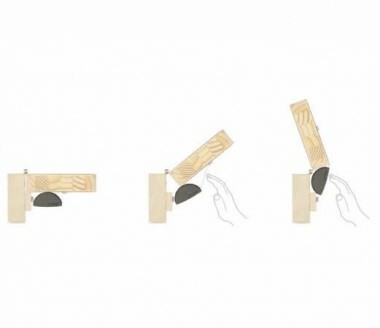 ALUmini is a durable and stylish retrofit finger guard that prevents fingers from becoming trapped. 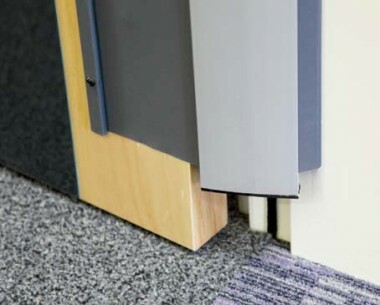 The specialty product is part of Kilargo’s architectural seals range and proves more effective than alternatives by filling the hinge gap rather than simply covering it.